Although credit cards have been used since the 1960s, there are still a number of baffling myths circulating about them. You probably heard a few of them yourself, and possibly even believed some of them simply because they sounded logical. However, failing to fully understand credit cards and how credit scores are calculated can only hurt you in the end. The following seven credit card myths are still prevalent today, so it is important to be aware of them and, of course, the truth behind the myth. 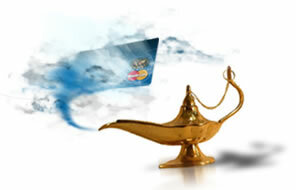 This is one of the most common and possibly also most dangerous myth about credit cards. Many people never check their credit score for fear that it will affect it negatively, which means they don’t know where they stand. The truth is that checking your own credit score has no impact on your credit score whatsoever. This is another risky myth to believe, because even though some credit cards don’t set a limit each month, there is always an end to the amount of credit you can get and if you aren’t careful you will eventually be cut off. This myth says that if you simply write “See ID” in the signature field of your credit card it will prevent thieves from using your card. Unfortunately, without your signature your card is not valid, even for you. This would be nice, but in reality, your credit score doesn’t improve the minute you pay off your debts. It takes around 30 to 90 days, for your credit score will begin to show improvement, providing you haven’t racked up new debt within that timeframe. A credit card company won’t necessarily decline you a purchase if it pushes you over your credit limit, but that doesn’t mean that it won’t have repercussions. Every time you go over your credit limit, you risk having your interest rates increased to penalty rates, even if you pay it back right away. While using your debit card wisely may be an indication that you are a responsible individual and know how to handle your finances, it isn’t taken into account when your credit scores are calculated. This might seem logical, but it isn’t true. Credit bureau experts have explained that even if you are below zero on your account, it is assumed that the situation is temporary. So it doesn’t matter if you have 100 dollars or 1000 dollars on your account, for scoring purposes, it will still be shown as a zero. Having poor credit and a surplus of debt can leave you struggling to make ends meet. Both are common side effects of divorce. Knowing credit myths can help you to raise your scores and lower your debt, because you will know the right things to do. While paying off debt makes you look more attractive to lenders, it doesn't actually boost your credit score. The best tip anyone can give you if trying to improve your credit score is to stop applying for cards or loans - each application, whether you take it or not - will result in red marks against your report. It basically means you are desperate for credit.